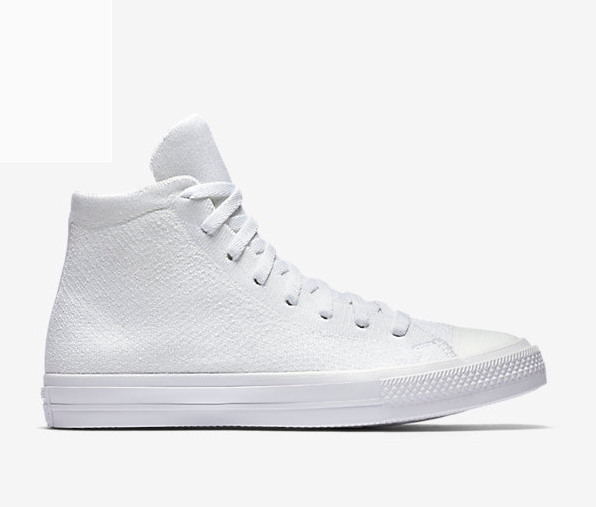 A pair of equally stylish and functional sneakers is one of the most important accessories a person can have, and sadly, a good pair can still be hard to find. 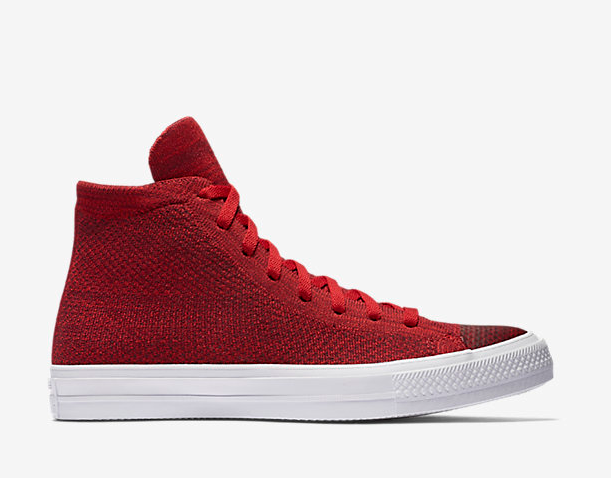 Luckily for us, the upcoming Converse x Nike Flyknit sneaker collection provides the ideal marriage between the classic style of the familiar Converse high-tops and the sporty comfort of Nike sneakers. So now we no longer have to scour the land high and low for the perfect summer sneakers. 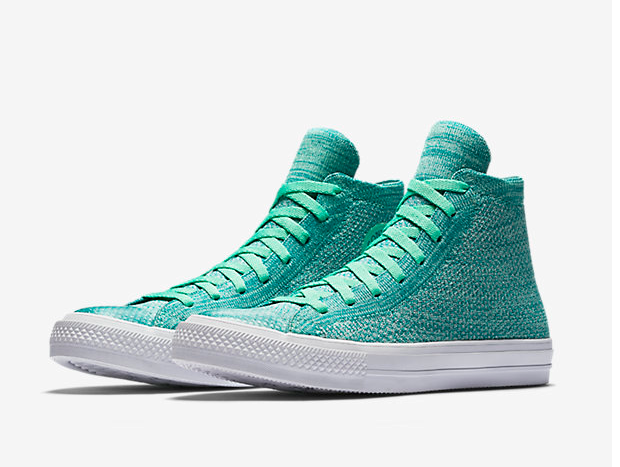 Per the name, the new Converse X Nike Flyknit sneakers will all come in the fabulous tight-knit material and will be available in six different colors. They’ll officially go on sale on April 27th, but we can still lust in the meantime! They will cost $110 per pair, once they’re available. So it’s wise to start saving your dollars now. 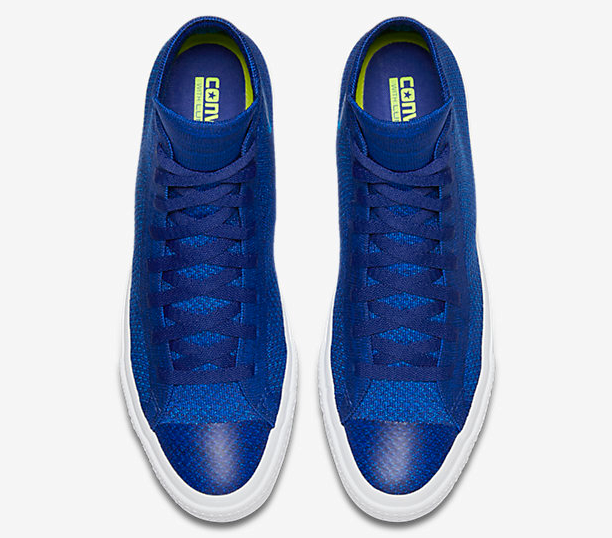 We are loving how they have the shape and appeal of Converse, with the sportier edge of Nike sneakers. You can run through basketball courts AND play in a punk cover band in these hybrid sneakers. If you’re feeling extra impatient (and excited) for these to come out, there’s even a countdown on the Nike website that includes days, hours, minutes and SECONDS until these are available for purchase! We count that level of dedication as a sport in itself. We are 100% ready to break this new pair of sneakers in.